Some samples of what I hope to do at some point: get nice quality scans of all the Mega Mission cards to go with the translations. 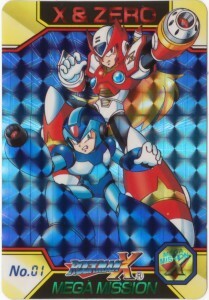 On the left, we have the Rockman X Mega Mission No. 01 holocard. On the right, Rockman X Jumbo Mega Mission I. Even though the Jumbo cards are much larger than the standard ones, after formatting they should wind around the same dimensions. I’ve been trying to decide whether to attempt to edit out the imperfections on the cards, or instead try to preserve them exactly as they are. For thoughts on that subject or other suggestions on the size and quality, you can sound off in the comments. Someday, someday get all these Mega Mission cards scanned. Even if it takes another fifteen years! But if you don’t want to wait that long for more X Carddas goodness, the Mechanical Maniacs have got the X1 series up in their gallery! That should hit the spot. 5 Comments to "More X Carddas!" Nice. 🙂 And so is that site that nonA linked to. 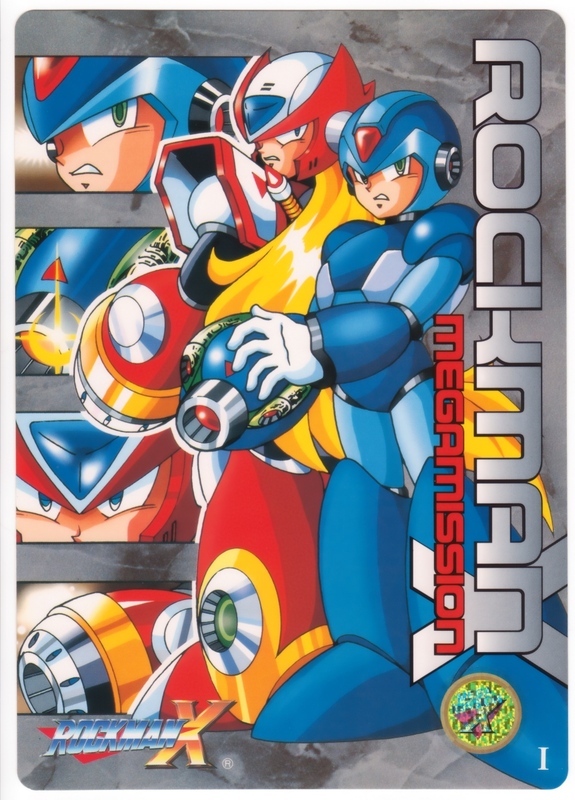 Even before X5 contradicting Megamision2, I wonder how the first Megamission would ever tie into X3. It would make Doppler evil way too early in the timeline. Also, MegaMission3 ending on a cliffhanger doesn’t help matters much about leading into X4. It looks to me like you’ve got a good display size to allow us to catch the details, even if it requires some vertical scrolling. 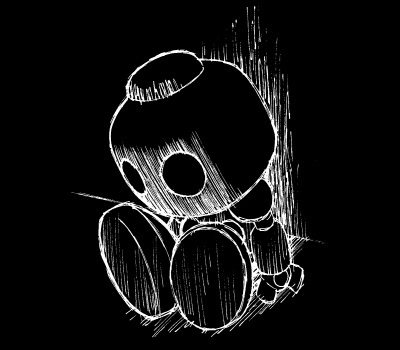 The site that nonA linked too seems nice, but the scans are too small to be more than previews. If you’re hoping to build a nice archive of the cards, I think it could become the definite source of information as long as the quality is there.